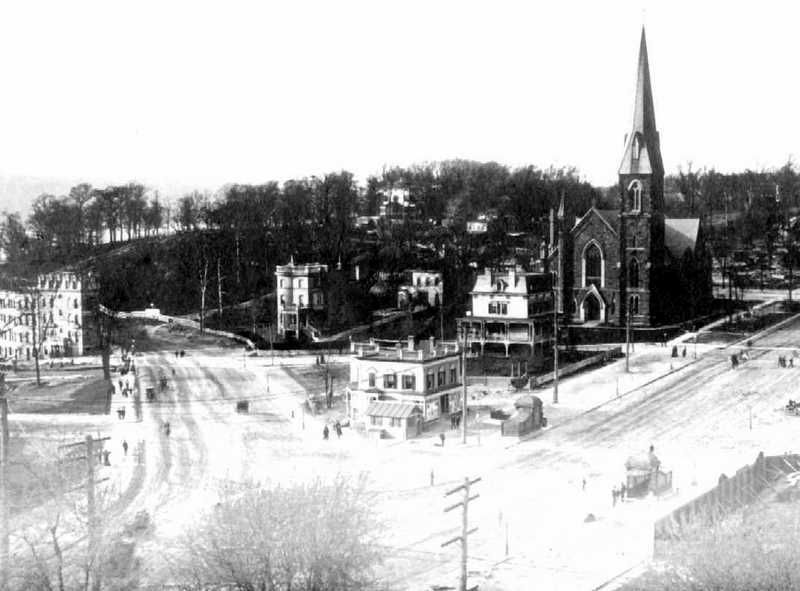 Even as the dignitaries and guests gathered in the church on the corner of Broadway and 158th Street that May evening in 1905, Francis Hobart Herrick was researching and writing his seminal biography of John James Audubon, a biography that would explode the Audubon myth, peeling back layers of sentimentality, demolishing the “tall tales,” deconstructing Audubon’s self-perpetuated myth, replacing it with the first thoroughly researched biography of the great American painter and naturalist – proving in the process that fact could be much more interesting than fiction. Before Herrick, each of the dozen writers who had explored Audubon’s life had relied upon the the same body of myth and family lore, hindered not only by Audubon’s ability to invent and reinvent himself to fit his audience, but also by Lucy Audubon’s perpetuating that invented biography, finely re-spinning it to enhance her role as the story’s heroine. Given that body of legend and fables, we should not be surprised that the 125th Birthday planning committee, led by Intercession’s rector Milo H. Gates and including editor-writer-conservationist George Bird Grinnell and Audubon’s granddaughter Mary Eliza, scheduled the event for the wrong day, wrong month, and even the wrong year. They had calculated the date based on Audubon’s “invented” birthday, the same date that appears on his monument, the date another Audubon granddaughter, the fascinating and willful Maria Rebecca had used in her version of her grandfather’s life. Only Herrick’s diligent, world-wide research and a thorough investigation of public and private records would reveal that Audubon was born April 26th, 1785, only one of many Audubon myths and misconceptions the industrious author debunked. As the eldest Audubon grandchild living in the vicinity of Audubon Park, Eliza had assumed a local authority much like the national authority her cousin Maria Rebecca had assumed when she published her biography of her grandfather. 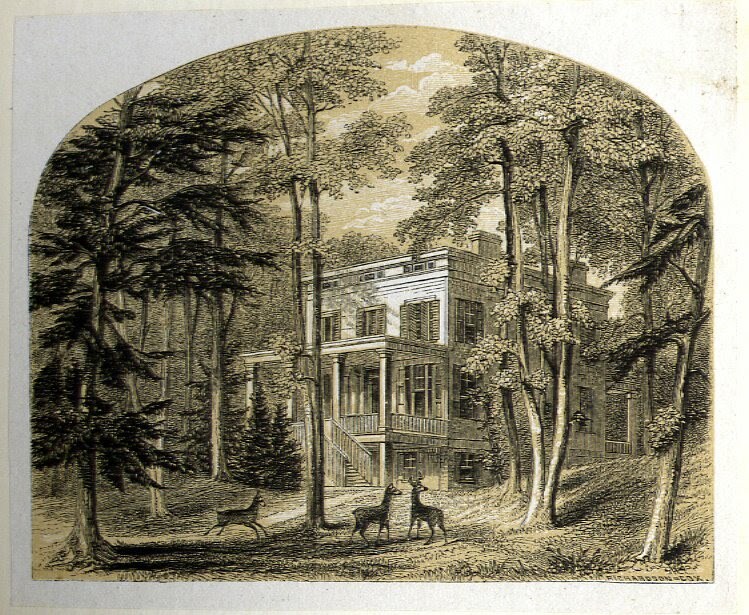 Without much probing, other authors borrowed Eliza’s Minnie’s Land description, embellishing it into a forty-acre estate “as remote as a lodge in the Catskills.” In the next two decades, Rufus Wilson, George Bird Grinnell, and Reginald Pelham Bolton all based their sentimental, nostalgic assessments of Minnie’s Land on information they gleaned from Miss Eliza and her cousins Harriet and Maria Audubon. Ultimately, whether Audubon’s final home was fourteen acres or forty, whether we call it a farm or an estate, whether it was nine miles from City Hall or ninety are not facts that alter the significance of Audubon’s achievement with the publication of The Birds of America or negate his place in the pantheon of America’s heroes. However, searching for the facts and balancing them against the myth, we achieve a better understanding of Audubon after publication of The Birds, better understanding of the Audubon family after “JJA,” and most importantly a better understanding of the development of Minnie’s Land into Audubon Park and Audubon Park’s eventual absorption into New York City. a few steps from the location of the naturalist’s final home. Posted in 125th birthday, 225th birthday, Audubon Park, Church of the Intercession, John James Audubon, Minnie's Land. Bookmark the permalink. Thank you Matthew for your comments and research. ALways a pleasure and I continue to pass along especially to non-internet family. Can't we learn today from those lessons of yesteryear to slow “progress” down a bit and think in terms of community impact as a whole, instead of how something only benefits our personal pocket linings….I know many of us reading these histories feel this way, but how can we impact the larger world around us – even by one neighbor, one block or building? Matthew, some thoughts on your very appealing post: While you make a convincing case for the mythologizing of Minnie's Land, and its geographic proximity to City Hall, don't you think it's fair to say that it was, if not wilderness, certainly rural or what we might call “the country”? The growing metropolis at the time was still fairly contained to the area that we know as Downtown, and was separated from Audubon's land by the swamp lands we know now as Central Park and the American Museum of Natural History. Audubon was also, it must be said, fairly averse to urban life, even as he spent portions of his life in Edinburgh, London, and New York. It didn't help that the Great Fire in NYC cost him many of his possessions. Finally, I'm curious as to whether you have any clue as to what finally happened to the house or houses on the Minnie's Land estate. I've never seen the photo at the top, and am intrigued. Was it destroyed? At various times I've heard it said that it was dismantled, and maybe it's hiding somewhere! Hello, Fred and thanks for your compliment on my post. The distinction I’m making – perhaps not convincingly within the blog I wrote, is between the physical and symbolic distance between Audubon and “the crazy city.” Minnie’s Land was definitely rural and the Audubon house was somewhat isolated by its position on the Hudson on the far western part of the property, accessible by a long dirt road that began approximately where today’s St. Nicholas Avenue intersects 155th Street. Despite that, the Audubons made frequent trips “to town,” where JJA and his sons visited their office and where the Audubon women shopped, went to the dentist, and in Lucy Audubon’s case, interviewed and hired new servants – seemingly a constant need. And, despite the very real topological hindrances you mention, a constant stream of guests traveled to Minnie’s Land, some staying for dinner; others for months. The Audubon grandchildren called one of the bedrooms “Cousin Atterbury’s room,” because a female relative of that name was such a frequent guest. When Audubon purchased Minnie’s Land, he rejected several other spots, particularly a large one in NJ, most likely because the other options did not afford him what Minnie’s Land offered: seclusion, but also proximity to the city he despised as well as needed close by if he were going to carry on his business. Although the Birds was complete, he had begun work on the Quadrupeds and still needed to canvas for subscribers, supervise printing, and take care of the other tasks associated with producing his books. Even before Audubon’s death, his home assumed became a representation of the virtues of agrarian life, contrasting with the evils of an industrializing nation. Parke Godwin, in a contribution to “Homes of American Authors” depicts Audubon in an Arcadia, surrounded by his family in a rustic home set in a wooded landscape where domesticated and wild animals mingled happily. Godwin’s essay is brilliantly written, beginning as he leaves the confines of the hot city on a Sunday morning – on foot, by the way – and including sufficient detail and contrast to act as a perfect setting for Audubon’s famous “I wonder that men can consent to swelter and fret their lives away amid those hot bricks and pestilent vapors, when the woods and fields are all so near?” Removed from context, the last four words of that sentence often disappear, but understanding the actual location of Minnie’s Land, that little phrase clarifies what Audubon was actually saying. That analogy of Minnie’s Land as an Arcadia contrasting with urban centers increased after Audubon’s death and appeared in various guises in numerous essays, books, and newspaper articles. In 1906, the Audubon Park Apartments claimed it added “the charm of country to the city home” and even in 1931, when the Audubon house was removed to make way for 765 Riverside Drive, a NYT writer contrasted the birds that “once chattered and caroled in the thickets” to the “bleat of the pneumatic drill and the whine of the riveting hammer.” Lost in these nostalgic reveries is the simple fact that when Audubon purchased a wooded vale in northern Manhattan and he and his sons began cultivating the land, diverting the streams, and building a house, barns, and other outbuildings, they were humanizing the landscape, setting in motion events that culminated in the cityscape that exists today. I’ll answer your query about the house in a separate reply as I’ve just about exceeded the approved number of characters. The house itself disappeared in 1932 after a long struggle to either save it in its location or move it to a new one. Until the early 1900s, the house was still occupied, but once construction of the Riverside Drive extension through Audubon Park separated the house from the rest of the Park, its location was no longer “desirable,” and the owner began renting it, using it as a multi-family residence. Exacerbating the problem, in the 1920s, NY City corrected the path of the original drive, constructing a viaduct in front of the house (the original forty-foot high retaining wall for RSD was behind it), putting it in a deep and dark well. Various plans, including using it for the Audubon Society’s offices or loading it on a barge and floating it up the Hudson to a new location, failed and it was slated for demolition. At the last minute, Harold Decker, an ornithologist, stepped forward with some funding to save it and move it to land the city donated several blocks north. With additional funding, it would be restored as a museum of sorts. Apparently the additional funding did not materialize – this being the depth of the Depression that’s not surprising – and the trail stops. My guess is that the house succumbed to the elements and looters. Thanks again for your comment. If you’re interested in additional information on the Audubon house, you can check http://www.AudubonParkNY.com (the index will guide you to applicable information) or email me at MatthewSpady@AudubonParkNy.com. 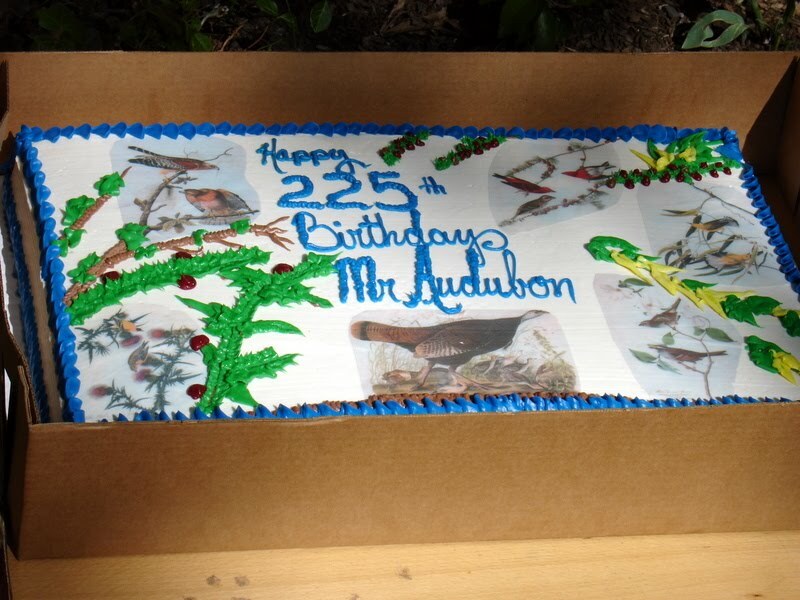 Where Better to Celebrate Audubon’s 225th Birthday Than Audubon Park in Northern Manhattan?